The highly anticipated release of data concerning water issues in Kewaunee County will have to wait. After being forced to cancel his January appearance due to the government shutdown, Kewaunee County officials decided to not reschedule Dr. Mark Borchardt’s presentation of his findings until they are able to ensure he would be able to attend without having to reschedule again. Borchardt and UW-Oshkosh professor Maureen Muldoon made national headlines in June 2017 when it showed the relationship between water recharge events and what it did to the area’s wells. Kewaunee County Land and Water Committee Chair Chuck Wagner is interested to see the results so the community can continue to work hard at addressing its issues. Attendees will be formally introduced to Kewaunee County’s newest Department of Natural Resources warden Jimmy Moore. The meeting will be followed by a public hearing of the county’s Land and Water Resource Management Plan. Is it time to save tax dollars and allow legal notices to be posted on web sites rather than in newspapers? Will the Packers draft more offensive or defensive players? 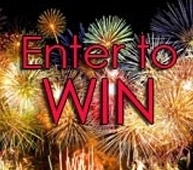 Sign up for our Daily Electronic Newspaper and/or our Shopping Show newsletter! 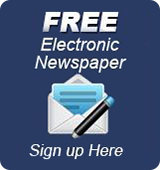 Get the latest news with our Daily Electronic Newspaper delivered to your inbox. 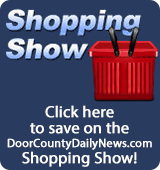 Get the latest updates for our Shopping Show delivered to your inbox every Friday. © 2019	DoorCountyDailyNews.com, Nicolet Broadcasting, Inc.